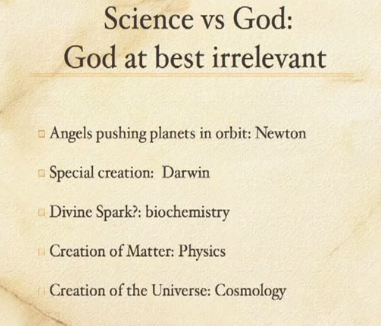 William Lane Craig debates atheist Lawrence Krauss: Does God Exist? Here is the video from the third debate from Dr. William Lane Craig’s speaking tour in Australia. Dr. Graham Oppy, the moderator, is a well-known atheist philosopher. He let Dr. Krauss speak for 21 minutes and 40 seconds, which is why my summary of Krauss is so long. After careful consideration, I decided not to be snarky at all in this summary. What you read below is what happened. There may be some small mistakes, but I will fix those if people tell me about them. I also included some quotes and timestamps for the more striking things that Dr. Krauss said. The debate itself starts at 4:50 with Dr. Craig’s opening speech. 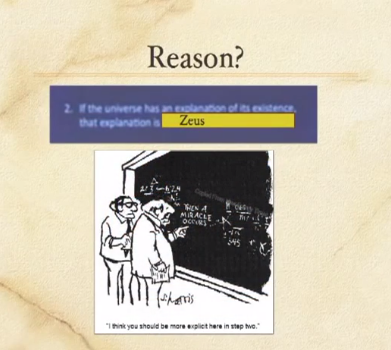 He does use slides to show the structure of his arguments. I will not be summarizing everything that was said, just a few main points. 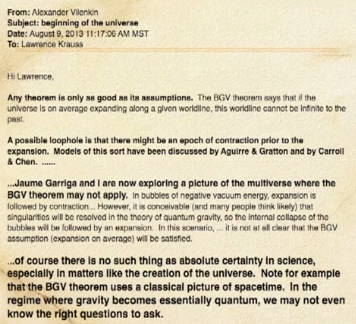 The segment from 52:18 to 57:12 about the Vilenkin e-mail on the BVG theorem is a must-see. Krauss is standing up and gesticulating while Craig is calmly trying to quote a paper by Vilenkin that shows that Krauss is misrepresenting Vilenkin. Krauss constantly interrupts him. After a while, when Craig exposes him as having misrepresented Vilenkin and gets him to admit that all current eternal models of the universe are probably wrong, he quietens down and can’t even look at Craig in the face. Moderator: Lawrence! Hang on a sec! 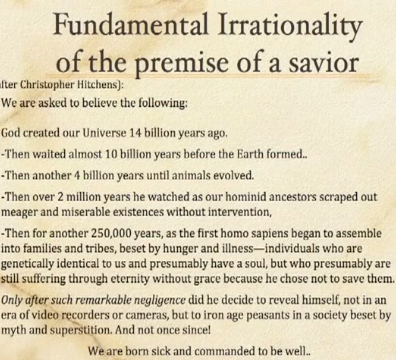 I noticed that a huge number of atheist web sites are taking the Vilenkin quote that Krauss used out of context, like this one and this one. There are probably a lot more of them like that, which I think is interesting. That’s why we have these debates, I guess. To set the record straight about who accuses people of being dishonest, and who is actually dishonest. Krauss tried to argue that he had explained the fine-tuning with the Higgs particle, but Dr. Craig said that only applied to the cosmological constant, not all the other examples of fine-tuning. Krauss said that it wasn’t impressive that this universe permitted life and that “It would have been much more surprising if we evolved in a universe in which we couldn’t live”. 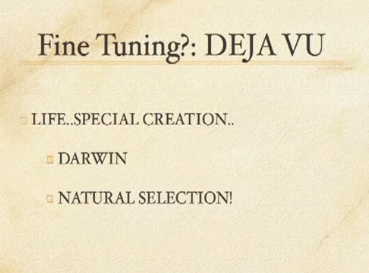 Krauss argued the fine-tuning was only for “Life like us”. But Dr. Craig explained that the fine-tuning is what allows us to have the basics of any kind of life, like slow-burning stars, chemical diversity, etc. – things that are required for basic minimal life functions in any living system. Craig said that he was working with the current physical laws of this universe (F = ma, etc.) and that he was looking at what changed if we changed those even slightly. Krauss tried to say that if he changed things like the mass of particles then the strength of forces would change. (But the forces aren’t laws!) Krauss argued that the cosmological constant would be even better for life if it was zero, and Craig said that the life permitting range did include zero, but that the range of life-permitting values was narrow. 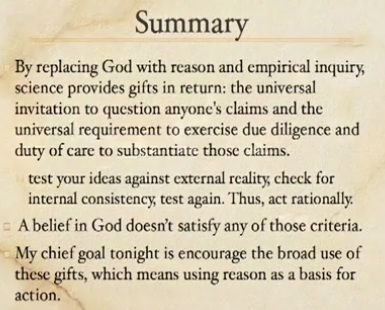 Craig reponded to the mystery religions charge, the charge that the evidence for the minimal facts is too late/too weak, the charge that grief visions explained the evidence better, and Hume’s argument against miracles. 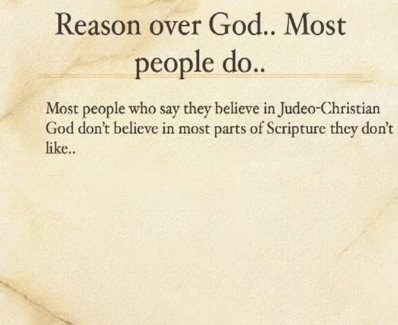 Craig brought up the early creed from 1 Cor 15:3-7 and explained to Krauss that it was 5 years after the events, and that Jewish standards of oral transmission were strong enough to ensure that the creed was reliable, and most of the eyewitnesses would still have been alive. The first topic is the grounding of morality. 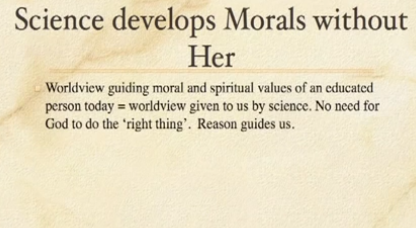 Krauss agrees that there is no objective morality and no objective moral oughts. He also said that that standards of behavior are arbitrary, and that they change over time and they are adopted for promoting social order. Dr. Craig pressed the point that science itself would collapse without ethical values. 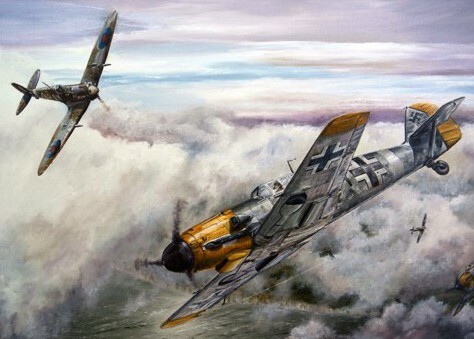 It assumes them, but cannot ground them. The next topic was free will. Krauss is a determinist. Craig asked him how he could reconcile moral responsibility with determinism. The next topic was the effectiveness of mathematics. Krauss didn’t have an explanation for it and didn’t think it needed one. 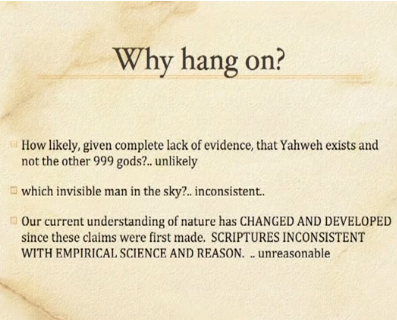 Then they got into whether the Genesis has been verified by science and whether it is meant to be taken literally. The next topic was whether philosophy makes any progress. 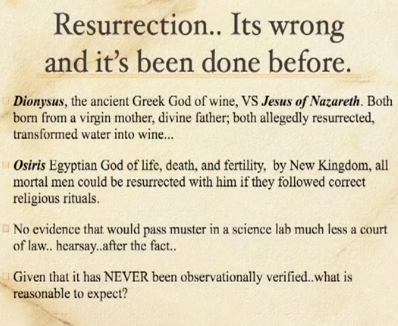 Craig gave the example of verificationism being rejected as too narrow, and self-refuting. Krauss: “I’m going to come to the defense of philosophy for the first time”. Craig: “That’s amazing!” Krauss said that science provides new knowledge. Craig said there were some things that could be known apart from science. 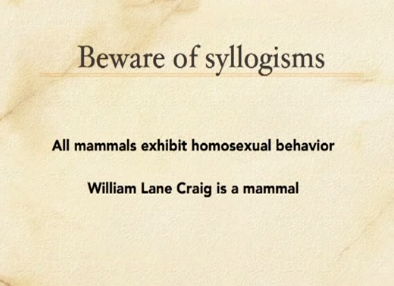 This debate has been aptly named “William Lane Craig vs. Angry Teenager.” I do wish WLC would have insisted on his usual debate format, i.e. 20 mins. each for opening statements/rebuttals, then 12 mins., 5 mins., and 5 mins. for counter-rebuttals, answering objections, and closing statements. Then at least the Dishonest Charlatan wouldn’t have been able to interrupt him the 50+ times that he did. What a jerk.